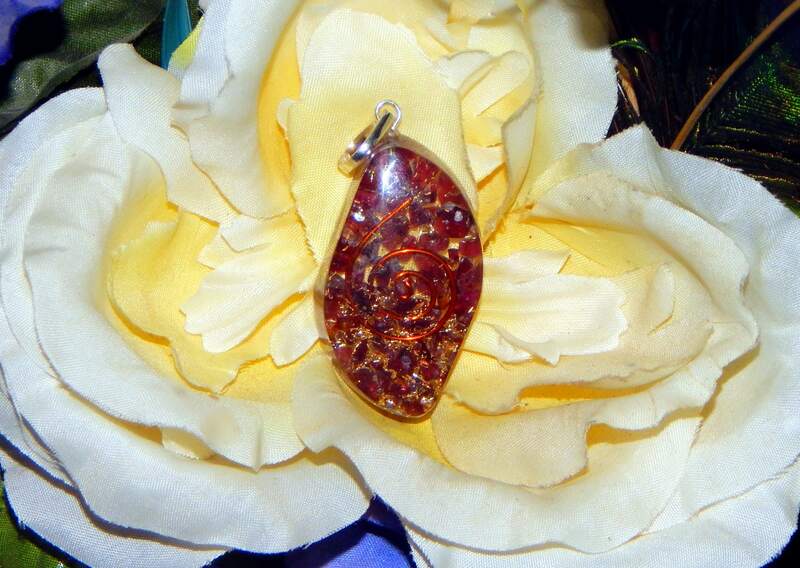 This irresistible Orgone pendant is hand-crafted with genuine Garnet and copper. It has been fashioned in the shape of an 'evil eye' talisman, also known in many cultures as a nazar. 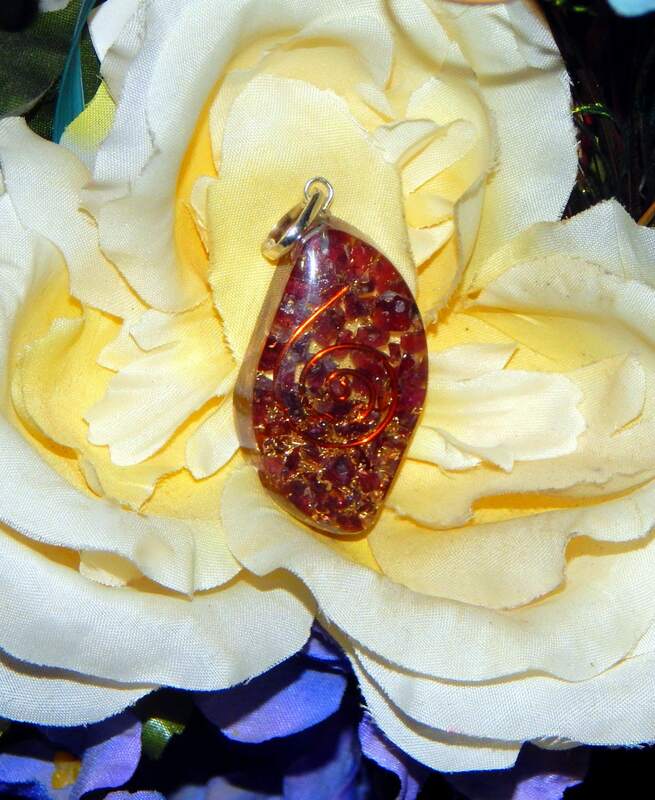 Reiki practice suggests Garnet to be a powerful grounding and protective stone. Crimson in color, Garnet is a stone of passion, incomparable will, strength and energy. Garnet is a gemstone connected deeply to one's roots and karma, reported as ideal for enhancing and unlocking the power of the first chakra- the root chakra. Includes faux leather necklace cord with extender chain, 18' inches in length. Each pendant is hand crafted, patterns and slight color variations may occur compared to the photos.